If your SSDI application is denied, speak to a lawyer right away. You have legal options to ask for a reconsideration and/or appeal the decision. 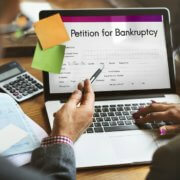 https://cdn.askthelawyers.com/wp-content/uploads/2017/11/28092816/Bankruptcy-Petition-on-computer-3.jpeg 643 900 AskTheLawyers™ https://www.askthelawyers.com/wp-content/uploads/2018/05/Asset-2-300x40.png AskTheLawyers™2017-08-11 15:25:382017-11-10 10:55:37What If My SSDI Application is Denied? 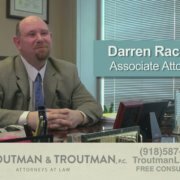 What are the expected benefits from Social Security Disability? Watch this video to learn more. https://cdn.askthelawyers.com/wp-content/uploads/2017/11/28092649/how-much-can-a-person-receive-fo.jpg 1080 1920 AskTheLawyers™ https://www.askthelawyers.com/wp-content/uploads/2018/05/Asset-2-300x40.png AskTheLawyers™2017-08-11 15:14:262018-01-04 10:03:04How Much Can a Person Receive for SSDI? 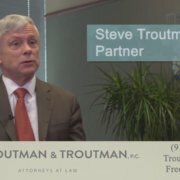 https://cdn.askthelawyers.com/wp-content/uploads/2017/11/28092646/do-you-need-an-attorney-for-a-so.jpg 712 1280 AskTheLawyers™ https://www.askthelawyers.com/wp-content/uploads/2018/05/Asset-2-300x40.png AskTheLawyers™2017-08-11 13:39:532018-01-04 10:01:25Do You Need an Attorney for a Social Security Disability Appeal?